A Celebration of Life service for Mrs. Syble Hanson, 94, will be held on Thursday, November 29, 2018, at 2:00 p.m. with Rev. Harold Payne and Rev. Bobby Morgan officiating. A private burial will be held in Anniston Memorial Gardens. The family will receive friends at the funeral home, Wednesday evening, from 6-8 p.m. Mrs. Hanson entered her Heavenly home on Monday, November 26, 2018. Mrs. Hanson is survived by her son, Chris Hanson (Doris Manning); eight grandchildren; many great-grandchildren; and numerous nieces and nephews. Pallbearers will be Lamar, Clifford, and Billy Crumley, Marvin Chapman, Jerry Turner, and Jim Owen. 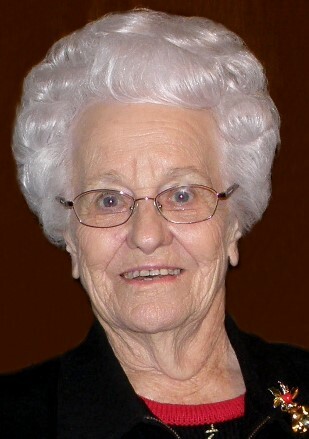 Mrs. Hanson was a long-time member of Weaver Church of God. She was a faithful and devoted child of God, who avidly spent time reading her Bible and praying daily. Mrs. Hanson loved serving her Lord and Savior and was supportive of her church ministry and the ministry of her Pastor. She will be deeply missed, but has left a smile on the hearts of those who loved her dearly. Mrs. Hanson is preceded in death by her husband, Julian C. Hanson; one son, Dwight Hanson; and seven sisters. The family would like to extend a special thanks to Alacare Hospice, including her nurses, Randy and Daphne, who so graciously cared for her.